Zion National Park houses some of the world’s most unique, spectacular scenery. From The Narrows to Angel’s Landing, Zion offers the best in canyoneering and desert hiking you’ll find anywhere on earth. With an incredible 4.3 million people visiting in 2016, the park has gained some popularity and traffic over the years. Whether you’re planning your next family reunion or next adventure vacation, here’s the local list of secrets to take you away from the larger crowds and give you an experience in the park that’s unique from what many other visitors to Zion have. 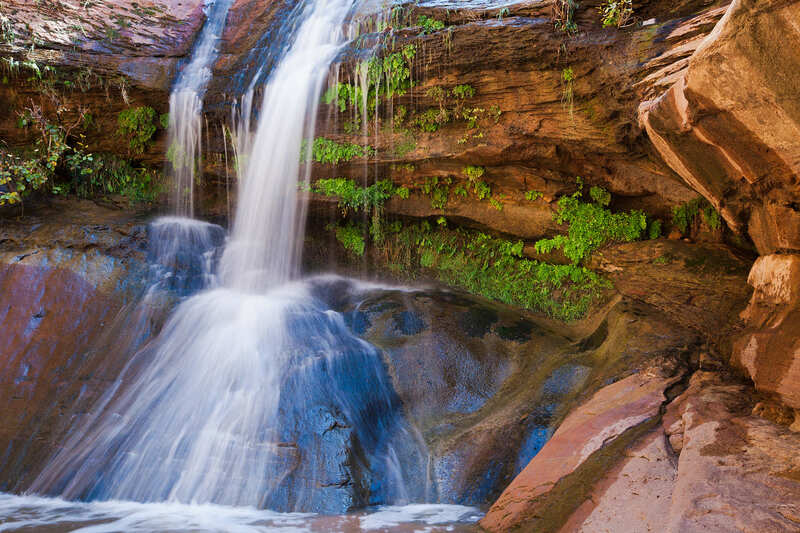 Thanks to a former park ranger’s great blog, the Pine Creek Waterfall is more easily accessible by those who want an off-trail adventure in Zion National Park. To find the trailhead, you’ll want to drive about 1.5 miles north once entering the park from the South Entrance. You’ll then take the turn for the Zion – Mt. Carmel Highway. At the first big U-curve up the mountain, there’s a small dirt pullout. That’s the trailhead for this truly hidden gem. The trail is about a mile long, with some larger boulders in the way. The crystal-clear falls, though, are worth the trip. In the summer, you can swim in them and cool off from the heat. This hike is a bit of a bear – there’s no two ways around that fact. Despite that, Cable Mountain remains a great hike for those looking to escape the crowds. The hike takes you from the canyon floor to the rim, to see the remains of a 117 year old old cable system used to transport lumber from the bottom of the canyon to the top. It was built in 1901, and stopped being used in 1930. The hike is about 7.6 miles round trip and can be accessed via a number of different trailheads, including the East Rim. This trail doesn’t get you away from the crowds so much as it takes you up and away from the crowds. This short hike is 3 miles roundtrip, but it takes you 300 feet above the canyon floor to give you a bird’s-eye view of the visitor’s center and Watchman Mountain, which lies directly to the south of the trail. There’s a trailhead right along the road at the visitor center, on the east side of the Virgin River. Take that trail and enjoy getting away for a few hours. Hidden Canyon isn’t terribly hidden anymore – it’s gaining a bit of popularity – but the strenuous hike turns away a good chunk of folks looking to get off the beaten path. The trail is only 2.2 miles round trip from the Weeping Rock trailhead, but you’ll gain 2,000 feet of elevation. That means a bit of hurt on the knees. What you find at the end, though, is worth the hike. You get a different view of Angel’s Landing, Cable Mountain, and The Great White Throne. You’ll also find an entire canyon full of pools, arches, and huge boulders. This section of Zion National Park doesn’t receive as much attention as the main canyon. The Kolob Canyons, located to the west of the main canyon, house some of the best hikes in the entire park. Taylor Creek is one worth going on, because the end results in seeing the Double Arch Alcove, a truly impressive geologic marvel. The trailhead begins at the Taylor Creek Trailhead in the Kolob Canyons section of the park. It’s about 4.5 miles round trip from the parking lot to Double Arch Alcove. 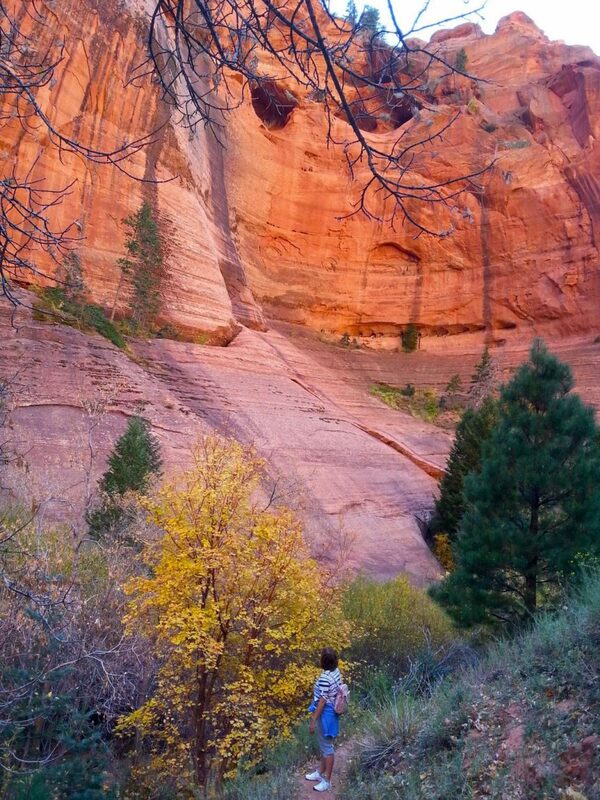 The next time you come to Zion, consider taking one of these hikes instead of the usual. You’ll be surprised at how much additional beauty the park has to offer. I love Zion…and Hidden Canyon was awesome!! I’m going to have to check out Pine Creek Waterfall next time. Thank you! It’s a great hike! Thanks for sharing your experience with us.